MakeMyTrip Ltd, the country's largest online travel services provider, doubled its revenue but posted a loss in the third quarter of the financial year 2017-18. The Nasdaq-listed firm had turned in a profit in the corresponding quarter of 2016-17. 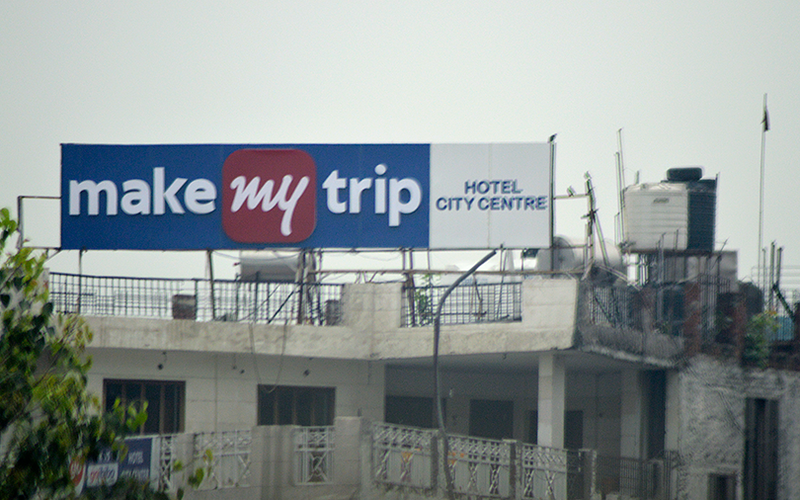 Net revenue, or revenue excluding service costs, surged 93.8% in constant currency terms to $151.4 million in the October-December period from $76.5 million in the same period of the previous fiscal, MakeMyTrip said in a filing with the United States Securities and Exchange Commission (SEC). Net revenue increased sequentially from $139.2 million in the second quarter. “Our fiscal third quarter financial results reflect our focus on delivering strong growth with improving operational efficiencies,” said Deep Kalra, group chairman and group chief executive officer of MakeMyTrip. “We continued to leverage our scale and multi brand strategy to broaden our reach to customers and deliver highly differentiated travel services,” he added. MakeMyTrip’s rival, Yatra Online Inc - the operator of travel portal Yatra.com - had reported a 45.6% increase in net revenue for the quarter ended 31 December, 2017. For Yatra, revenue after excluding service costs, or net revenue, for the October-December quarter increased to Rs 195.8 crore (around $30 million) from Rs 134.5 crore a year earlier. Meanwhile, MakeMyTrip said its adjusted net loss was $30.5 million for the quarter ended December 31, 2017 compared to an adjusted net loss of $5.9 million in the corresponding period last year. MakeMyTrip’s revenue from its air ticketing business increased by 5.9% (2.8% in constant currency) to $40.5 million in the quarter ended December 31, 2017 from $38.2 million in the quarter ended December 31, 2016. Revenue from the firm’s hotels and packages business increased by 38.4% (34.1% in constant currency) to $113.7 million in the quarter ended December 31, 2017, from $82.2 million in the quarter ended December 31, 2016. The company said that employee expenses increased by 97.0% to $26.9 million in the quarter ended December 31, 2017 from $13.7 million in the corresponding quarter of 2016-17. It attributed this mainly to the merger with the ibibo Group, and an annual increase in wages in the fiscal year 2017. Marketing and sales promotion expenses increased by 144.6% to $109.0 million in the quarter ended December 31, 2017 from $44.5 million in the corresponding quarter of 2016-17.